Newcomer Family Obituaries - Sharon Ann O'Brien 1946 - 2018 - Newcomer Cremations, Funerals & Receptions. Sharon A. O'Brien, age 72, of Toledo, passed away on Sunday morning, October 28, 2018, peacefully in her sleep. She was born on August 29, 1946 in Toledo to Louise (Kurth) Bohnsack. Sharon attended Anthony Wayne High School and as a young lady she worked along side her mother at Lil' - Chefs Restaurant in South Toledo. 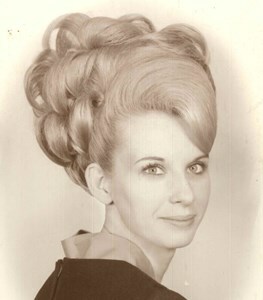 In later years she worked in property management throughout Toledo. Sharon loved genealogy, visiting casinos with Sandy and Tony, tending to her flower gardens, loving on Lindy her beloved dog and watching her grandchildren grow-up. Left to cherish her memory are her children, Kim (Jamie) Traczyk and Jason M.W. Brown; grandchildren, Madisyn, Macie, Keyghan and Braiden; first husband and friend, Charlie (Gerry) Brown and the rest of her furry friends. She was preceded in death by her mom; husband, David O'Brien and her best friends, Nancy, Brenda and Ginger. At Sharon's request all of her services will be private. As an animal lover, any memorial contributions may be made in Sharon's memory to the Toledo Area Humane Society or to Humane Ohio. Add your memories to the guest book of Sharon O'Brien. My sincerest condolences to Sharon's family at this sad time. I went to school with Sharon at Anthony Wayne High School I did now know her very well, but after attending the last several class reunions, I have found out that all of my classmates were special people. I regret that I did not get to know her better, and wish you all well. My adopted momma! One of the most beautiful woman I have ever met! I am truly going to miss you so much! LOVE you forever and always! Cosette!!! To Kim, Jason and family! I am truly sorry for your loss! Prayers and thoughts with you! Kim and Jason, your Mom was a wonderful lady. I remember talking with her a lot when you all went to St Clements. Then we became friends on Facebook. It is so sad that she is gone. I will miss her dearly. Prayers and hugs to both of families. I'm so sorry to hear about your Mom. She was a pretty amazing lady. She was so easy to talk to, a great listener, and she always made me laugh. She will truly be missed by everyone she knew. My love goes out to all of you and I pray for peace and comfort. If you need anything, I am a call away. Love you all?. I am so sorry for your loss. Sharon was a great person and a wonderful Mom. I am so glad I was able to visit her the past couple of weeks. The world is a sadder place without her in it.